Stretched at 18.9 km, Neil Island is a part of the Ritchie’s Archipelago in the Andaman Islands. The island bears the name of a British soldier, James Neil, who dealt with all insurgents during the mutiny of 1857. That was a general introduction of Neil Island. Let us tell you more. 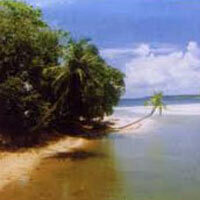 Neil Island is regarded as an apt place for or an affordable vacation trip with the loved ones. The tranquil ambiance of the island is enough to reinvigorate the tired senses. The scintillating shoreline of the beaches located the island are the perfect place to chum around with the partner during the honeymoon tour. Not only this, but there are several other places in the beautiful Neil Islands. People from all over India and other countries choose Neil Island for enjoying a vacation away from the bustling cities. Its charm never ceases to catch the attention of people. The packages for an adventure tour to Neil Islands are in a huge demand. Allow us to state a reason for this. Neil Island is an amazing destination for enjoying multiple water activities that include the scuba diving and snorkeling. Furthermore, people also explore the other places located in Neil Island. Hiking during the day and partying at the beach are the daily rituals for all guests that arrive at the Neil Islands for spending vacations. Neil Island is awaits you.